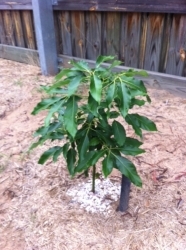 Update 06-Dec-2011:Tree doing really well and producing lotsa chillies :) New pic attached. The chillies are not very hot though. 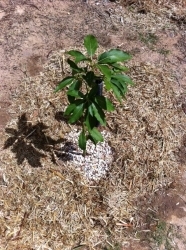 The tree is doing well after planting it in the ground since i last posted about the aphids problem. Love the idea of having a chilli tree !!! 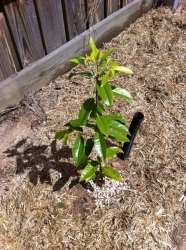 The leaves of my chilli plants are curling from the day i received this from Daleys. Not sure what the problem is. 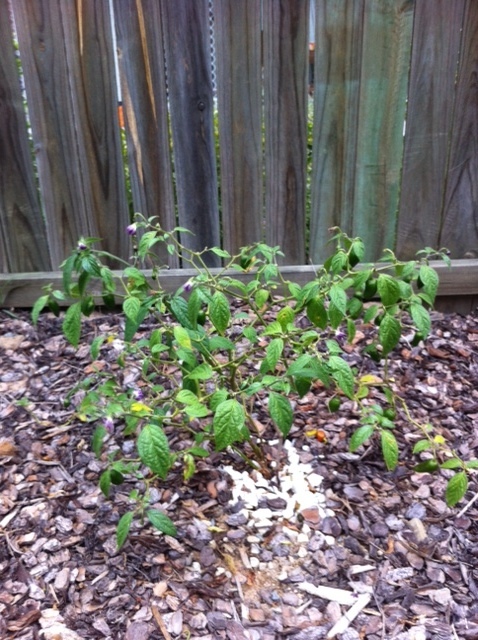 Another chilli plant close to it is also having the same problem. Searched the internet for clues and it seems it a viral disease propagated through the seed OR caused by aphids. I have a few more chilli plants close by but they seem to be doing alright. 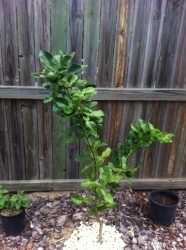 Can i save my chilli tree ? 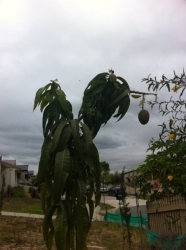 Update 06-Dec-2011:This tree has produced a couple of fruits. Waiting for them to mature. New pic attached. 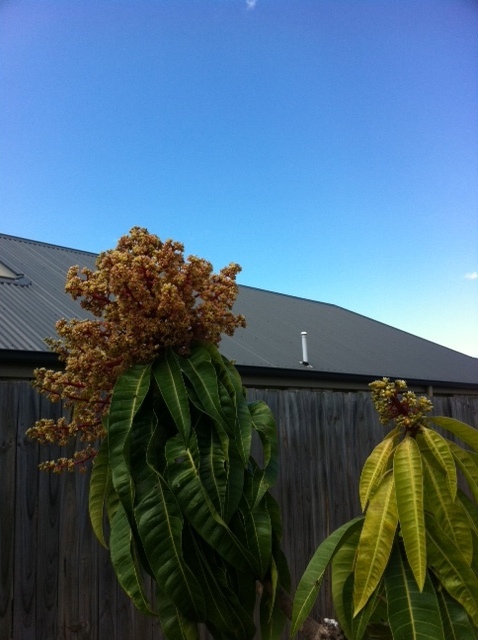 The first set of flowers did not produce any fruits and they all dropped, maybe coz it was winter. Getting a fresh new bloom soon. 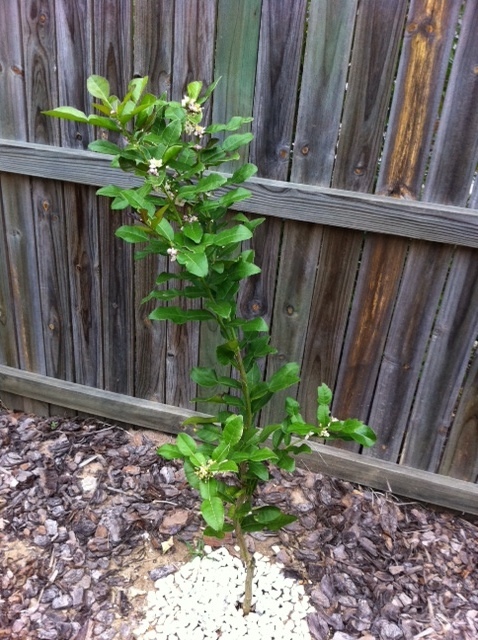 Update: 09-Dec-2011: Produced a lot of flowers but only got one fruit out of them. Its still not mature enough to be harvested. Time will tell if i finally get to taste a lemonade or not. New pic attached. Never tasted lemonade fruit before. But i believe it tastes like sweet lime. Have a few tiny little fruits on it at the moment. Lets see how many mature ones i get. 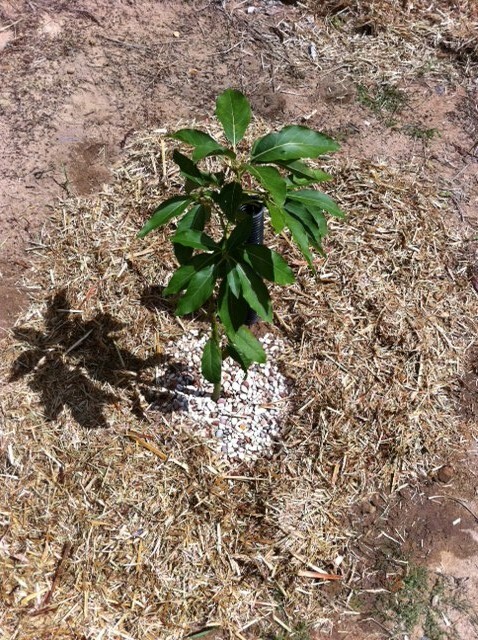 Update:09-Dec-2011: Growing slowly but surely. Never tasted this chocolate pudding fruit either and i hear its the best. Love the glossy leaves. 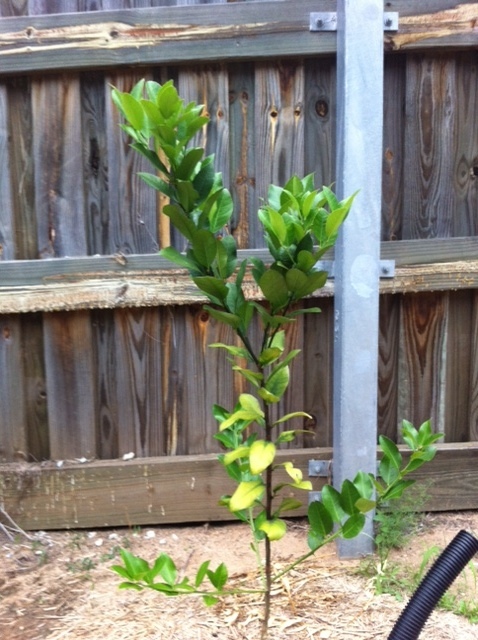 I know that this seedling will form into a huge tree if not pruned. 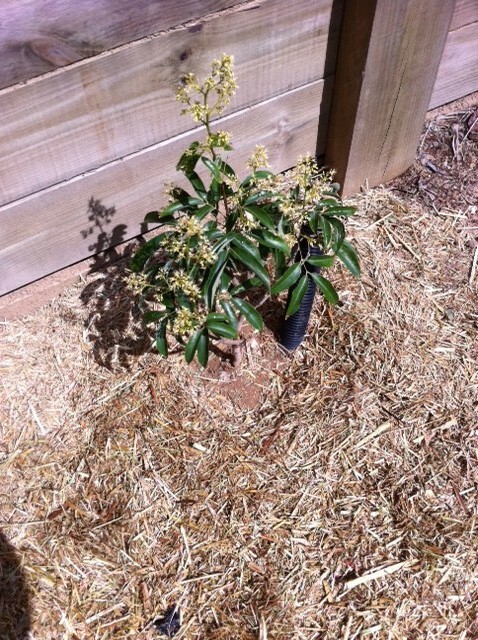 I intend to keep it small with regular pruning. Question: When will this seedling produce fruit? 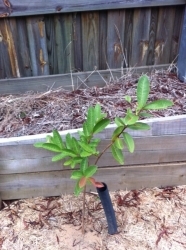 Update 09-Dec-2011:Showing good growth. New pic attached. 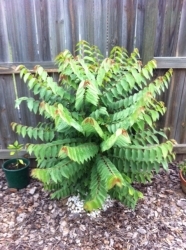 Bought this from Bunnings 3 months ago. Havent seen it grow any new leaves since then. 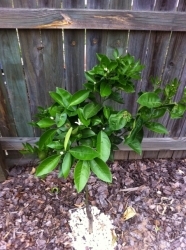 Question: How long before this one fruits ? Update 09-Dec-2011: This also seems to be growing slowly but surely. 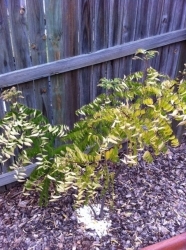 Leaves were attached by some bug and had to manually remove it. New pic attached. Bought this one from Bunnings as well about a month or so ago. Already started growing new leaves. Its not a Hawaiian, this site doesnt have the Indian Guava option. Question: Since its a cutting, hopefully it should fruit sooner ? 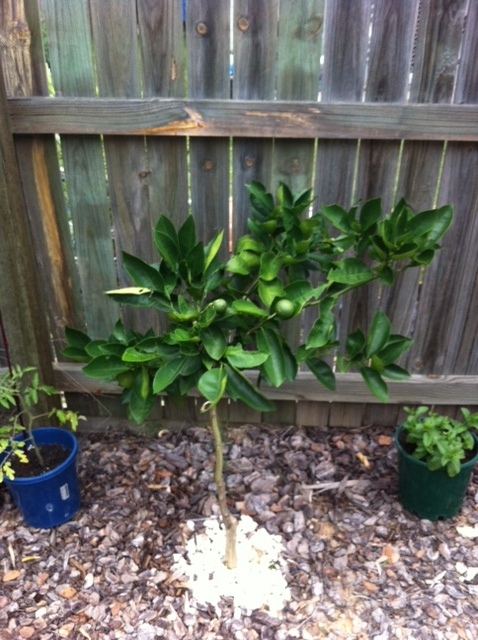 Update: 09-Dec-2011: None of the tiny fruits matured. But the tree is getting new leaves. New pic attached. 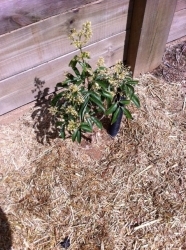 This is a marcotted tree which had already flowered when i bought from a nursery here called Plant Factory last weekend. 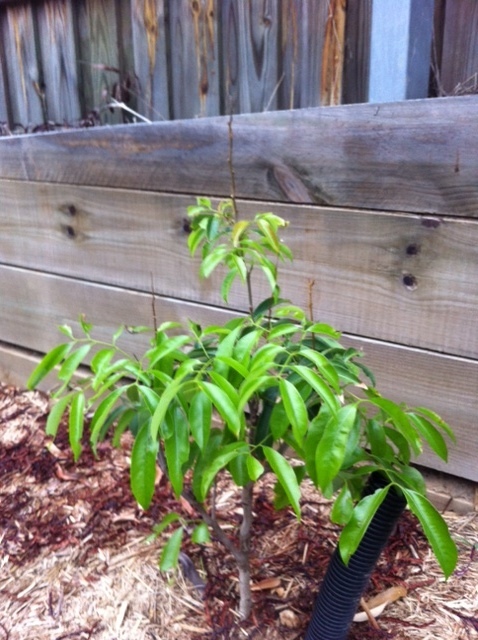 I intend on pruning and keeping this one small as well. Question: Can i restrict it to a height of around 8-10 feet? 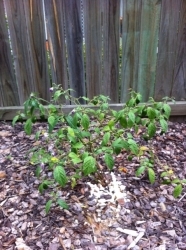 Update: 09-Dec-2011: Showing plenty of new growth. New pic attached. 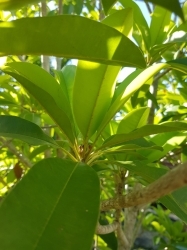 We regularly use its leaves in curry preparations. 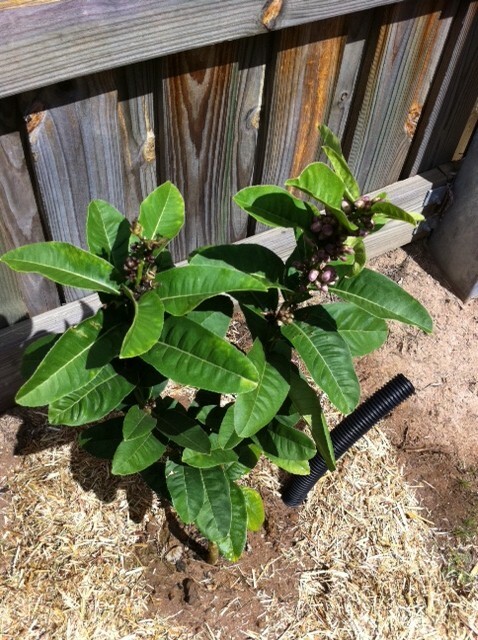 Update 09-Dec-2011: Most of the tiny fruits have been nibbled by some insects. New pic attached. Got a couple of fruits last season. 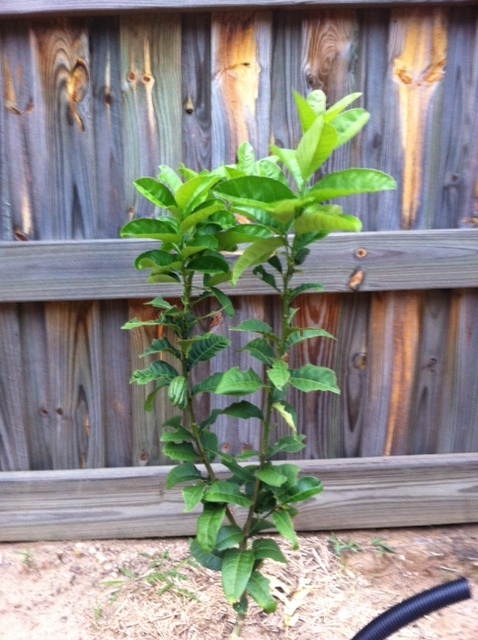 The fruits were already forming when we got this from a nursery. But those fruits didnt have the blood red colour in the flesh that i was expecting. It was moderately sweet. 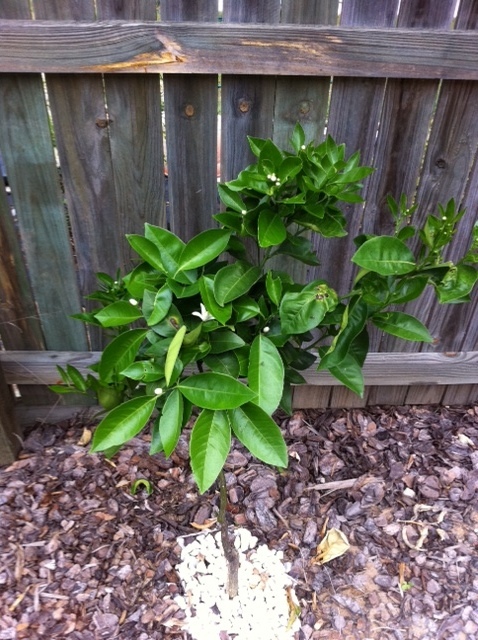 Its flowering again and i hope to get some blood oranges this time. 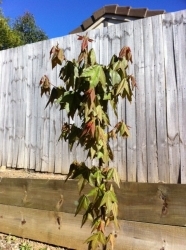 Update 09-Dec-2011: This tree really seems to love the current weather. Plenty of new growth. New pic attached. Wasnt aware that these trees were deciduous. 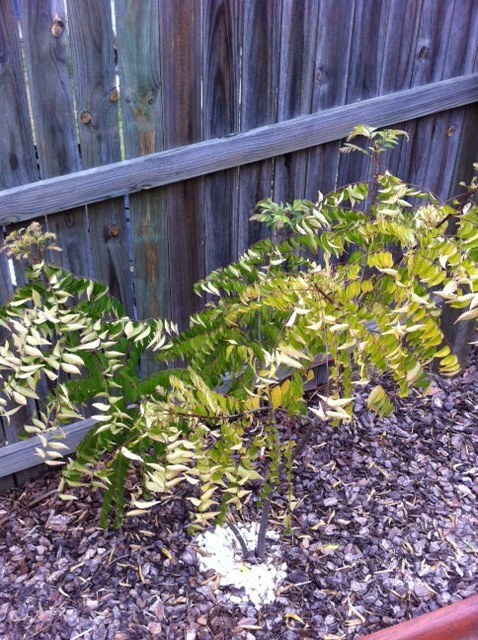 It lost all its leaves over winter and was completely bare. Its growing new shoots now. We also call the fruit 'amla'. 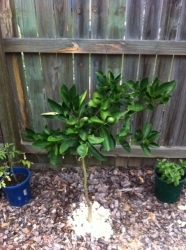 Update 09-Dec-2011: Got a few fruits. Not quite sure what to do with them. They are very fragrant. Will use them in Thai preparations. New pic attached. We use it for making Thai preparations. It has just recently flowered and is now forming fruits. 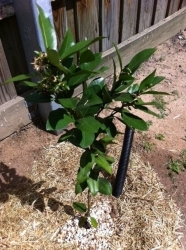 Update 09-Dec-2011: Got around 2-3 tiny fruits which dropped before they matured. Just one fruit remaining which is as big as a closed fist at the moment. New pic attached. I love mangoes, my favourite being the Alphonse variety. But unfortunately we do not get it here in Australia. Daleys is seeking propogation material for the last 2 years :( The variety closest to alphonse i believe is the bowen variety. But I have planted the R2E2 variety which produce a larger fruit and is equally sweet. 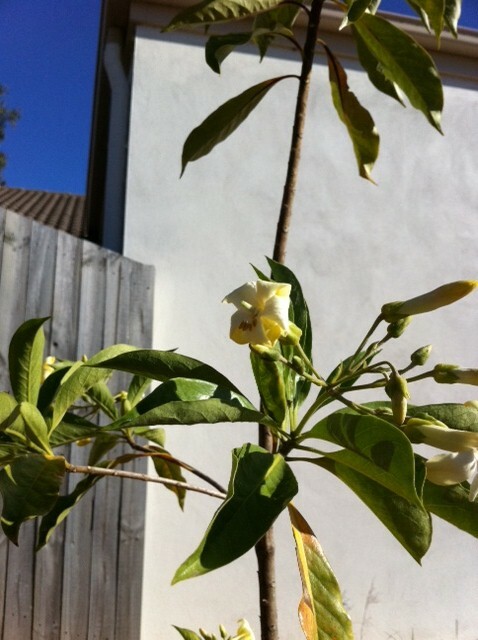 This year it has already started flowering profusely (pic). I might have to prematurely remove the fruits in december coz i dont think this little tree will be able to bear the weght of the fruits if it holds on to 3 or more. 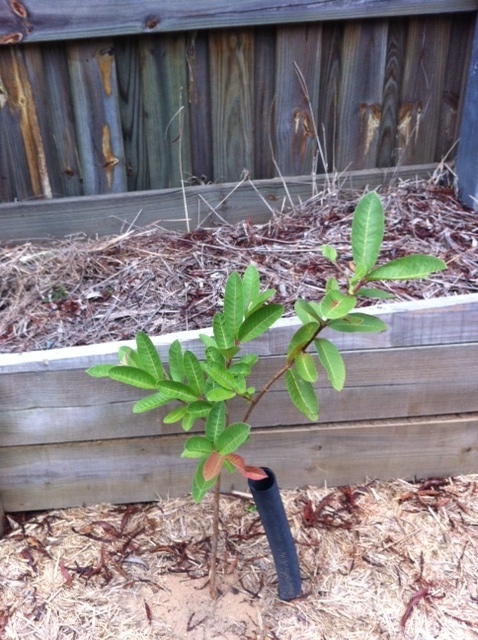 This seedling has grown a bit in the last year. But its very sparse. I wish it were a bit more bushier. 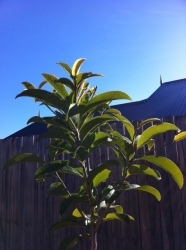 Being a seedling i am not sure when to expect the fruit or how it will taste ... will be keeping my fingers crossed. 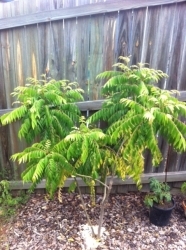 21/11/2018: Its been a while since i lost posted an update on this little tree. A few years ago the main branch broke off due to strong winds. 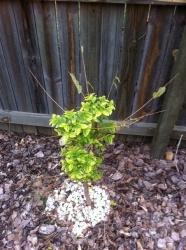 Since then its got a few offshoot branches and has grown pretty well... but did not flower. 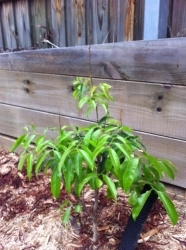 I was actually considering replacing it with a known cultivar which can guarantee fruits. Anyways, as a last ditch effort after reading on the internet i decided to girdle one of the branches. Because apparently that stresses the tree to induce hormonal changes which then causes the tree to flower but could also kill the tree / branch. 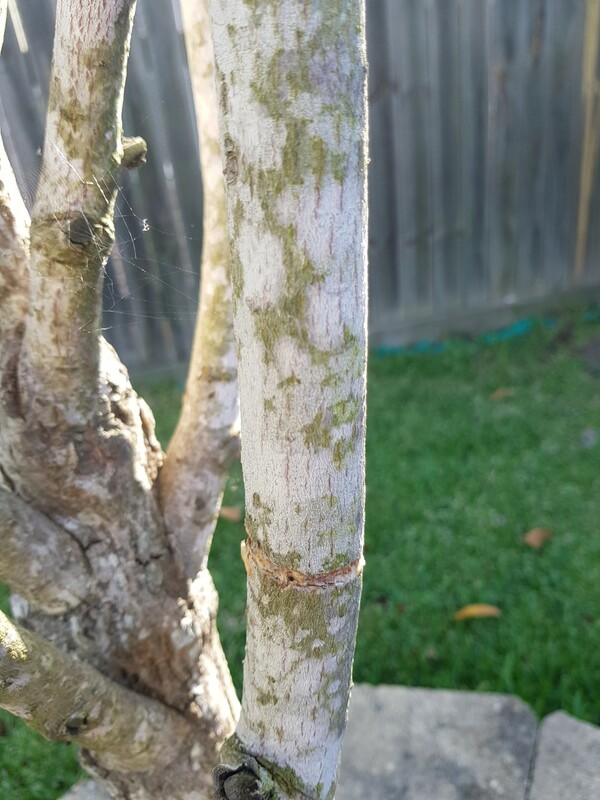 So 3 weeks ago i girdled one of branches (took a ring of bark off the stem). And to my surprise last weekend i can now see some flower buds! Lets see if i now get some fruits out of it. 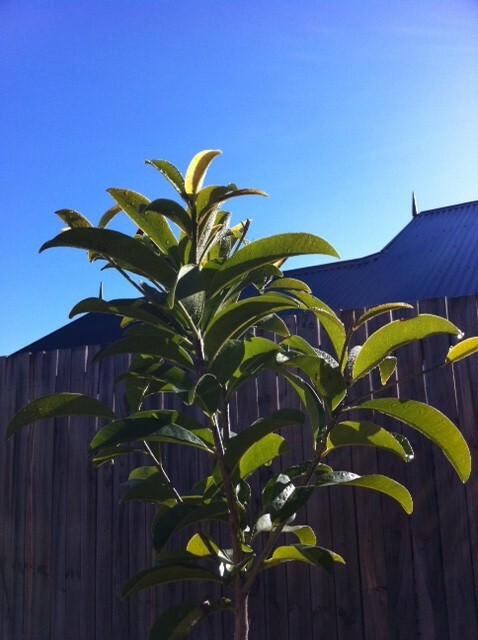 No, i dont think it will fruit this season :( It has grown a bit with some new leaves here and there; but to me it still looks sparse. I wonder if i need to fertilise it ? 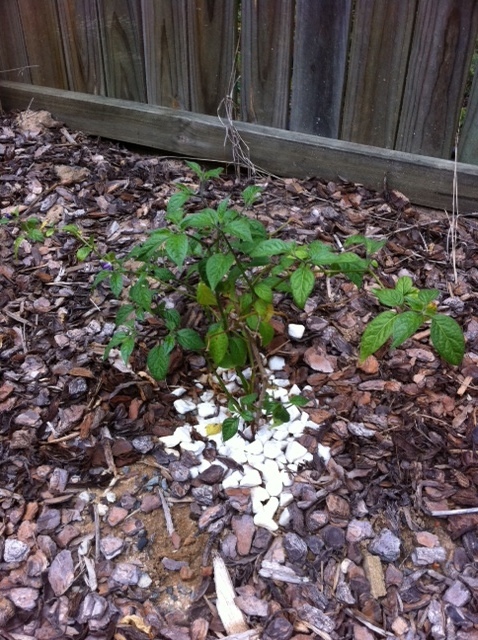 what fertiliser would you recommend? I regularly provide all my trees with seasol. And use blood and bone once in 6 months. Do i need to do more ? Hi - has your seedling fruited for you yet? Received this from a work mate. It has grown quite a bit in the last year. But its looks sparse. Being a rain forest tree i would have expected it to be a lot more dense. 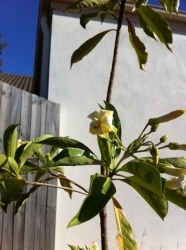 It has flowered only 1 year after it was put in the ground. 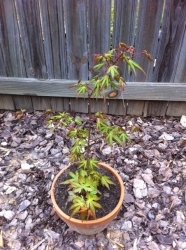 Comments: - This is another maple that i have grown from seed. 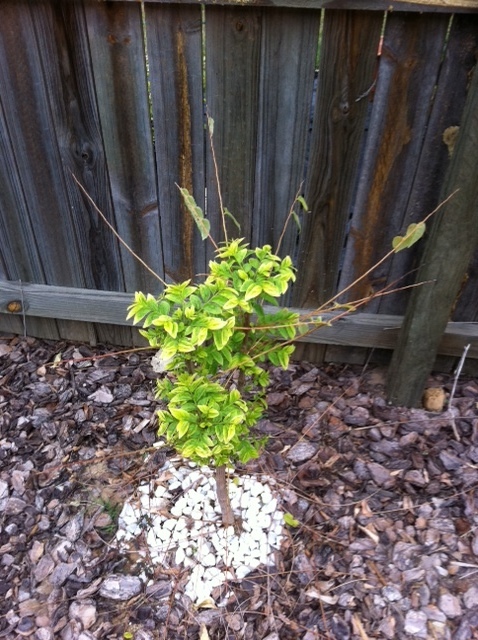 It was bare over winter and is now getting new leaves. 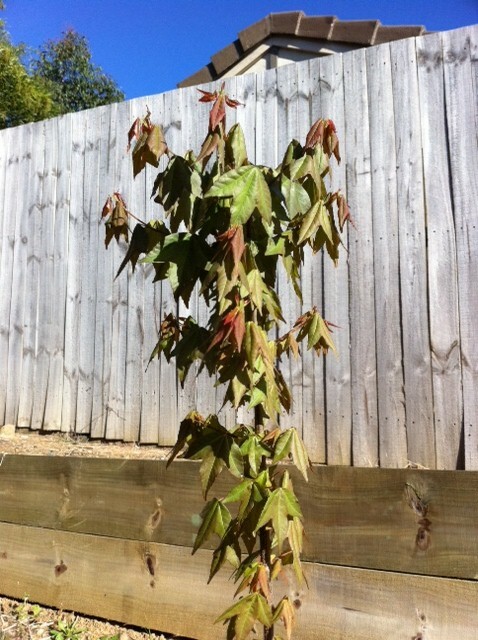 Comments: - Another maple that i have grown from seed. 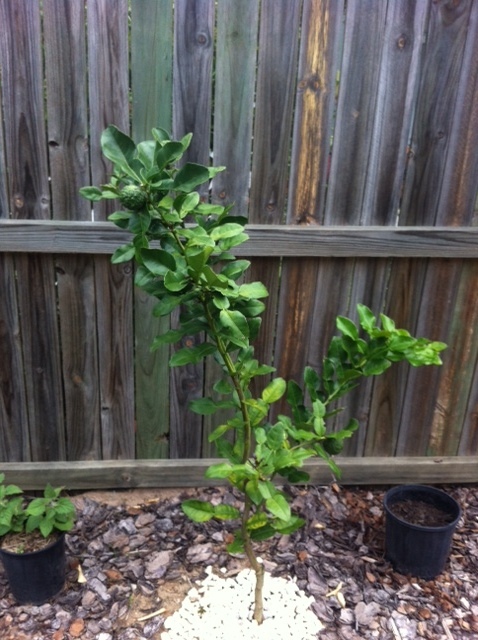 Its very slow growing and currently looks like a stick in a pot. 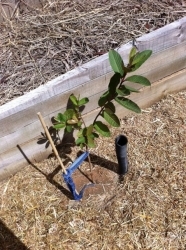 Comments: - This seedling is now 2 years old. Love its colour during autumn. Even the spring foliage colour is quite attractive. This was grown from seed and has managed to survive here in Brisbane. 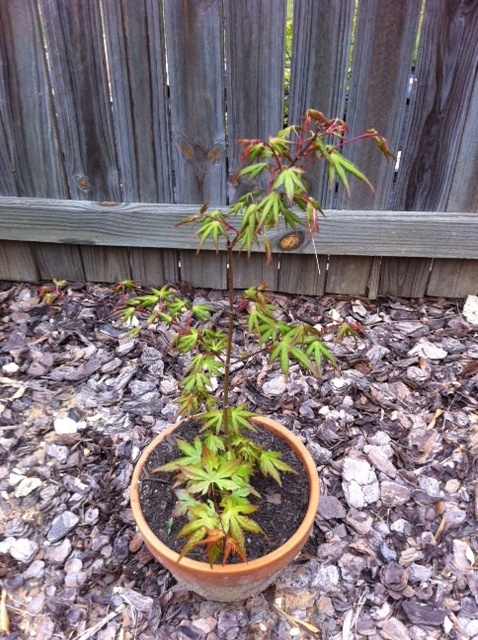 I have a few more in ground which are shooting new leaves now.